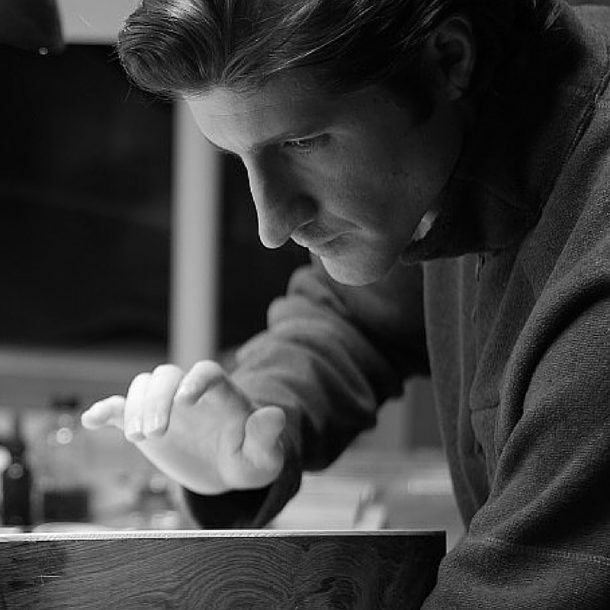 One thing that I believe is important to keep in mind as I build my guitars each day is that I am only able to do the work I do because of the men and women who came before me. Those skilled craftspeople who were brave enough and generous enough to share their hard-won wisdom with the rest of us, so we can learn and grow and find our own unique paths. 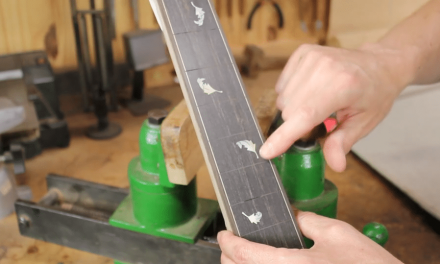 One resource that was and still is helpful to me in this way is the book “Making Master Guitars” by Roy Courtnall. 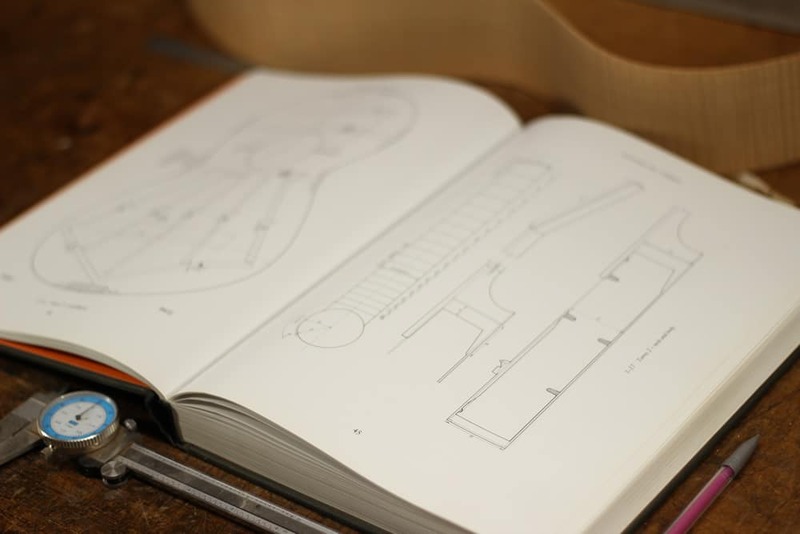 In this article, I’ll be sharing some basic info about the book itself as well as a little bit of why I personally consider this book a “Must-Have” for any luthier who is building nylon string or classical guitars. I immediately related to the approach of the author and appreciated the tone and writing style. 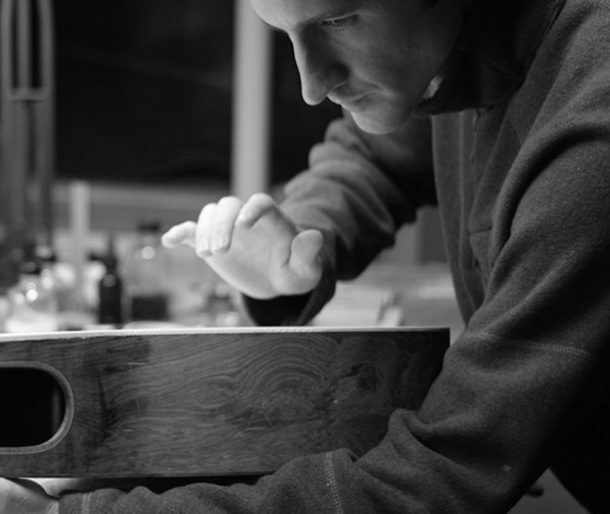 The book is also laid out in a way that I found easy to reference as I worked which is important to me as a luthier. Great effort was obviously put into the level of detailed information and the quality of photography and of course the quality of the book itself which is quite impressive. Part 1: The Master Makers and their Guitars – A detailed set of body shapes,rosettes, bridges, headstocks, measurements, and more from some of the greatest guitars ever made; a treasure-trove of inspiration and information. 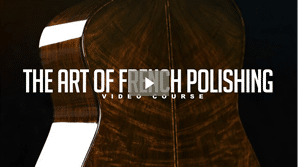 Part2: Workshop, Tools, and Materials – This section covers the basic requirements to build a guitar in the Spanish style. I always like things like this because each builder uses their tools in different ways and there is always some new approach hiding in there that helps me if I am looking closely for it. 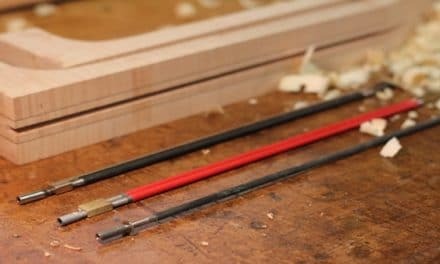 Part3: Guitar Construction – The Spanish Method – Not only does this include a step by step method for building a guitar using the Spanish style but the thing that makes it unique is that Roy included great photographs of his guitars and himself building, but also those of the masters mentioned in Section 1 such as Robert Bouchet and Daniel Fredrich which is really a great addition that I still enjoy seeing. I started building guitars here in St Louis Missouri back in the 1990’s and it was really hard to find luthier’s to learn from. The internet wasn’t much help back then either so I was limited mostly to finding what I could in the bookstore – remember those ancient things? ;). 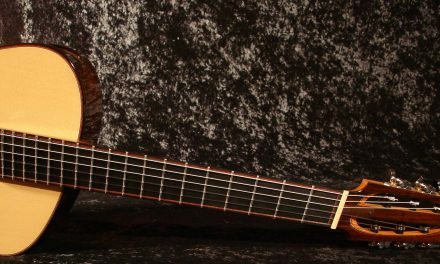 I was able to build my first archtop guitar with the help of Bob Benedetto’s book ( another must have for that type of instrument) but eventually as my luthier career progressed a client wanted me to build them a nylon string guitar. 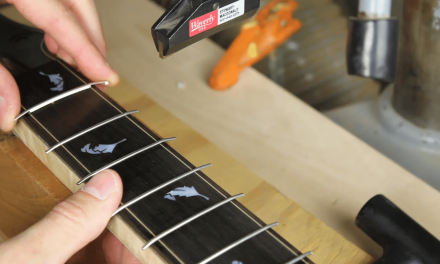 This presented a problem for me, I had many years of experience playing and owning and building steel string guitars, but I had never owned a nylon-string instrument. During the design phase of my first nylon string guitar, I worked to get as many nice guitars into my hands to study and play as I could, but taking measurements and tracings was difficult and awkward on instruments I didn’t own. I had a basic idea of what I wanted to do design-wise but still didn’t feel settled on my design. If you are a member of the Luthier’s EDGE, read my book, or have taken my guitar design class, you probably know that I strongly believe in the value of the traditional guitar. I have a policy that I adhere to which helps to keep me safe; no matter how wild or modern of a design I might attempt, it’s underlying framework is always based on the tradition. By that I mean that I establish the main traditional parameters of side depth body size, scale, general thicknessing, nut width, materials, etc. to ensure that even though my design might be a bit different it still feels and sounds like a guitar in a way that players can still easily appreciate the feel and sound of the instrument. 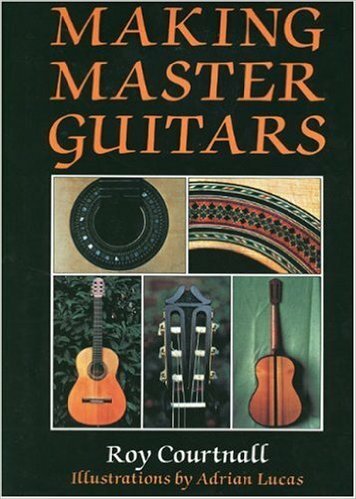 I just happened to find this book at precisely the right time while I was working on that first nylon string guitar design and the detailed measurements of the master guitars contain here gave me a point of reference to base my first iteration of my nylon string guitar design on. What I love about this book the most and the main reason I wanted to share it with you is that Roy was able to measure and record the dimensions of so many great instruments and he shared that precious info with the rest of us. To me, this is a treasure trove of information and something I will always appreciate. There is no way I could ever get access to all the guitars detailed in the book, but thanks to Roy anyone can have the measurements and other information he gathered about them on hand to reference and learn from as they work, whether building a guitar based closely on these wonderful designs, or simply using them to keep their own unique designs safely grounded in the tradition as they experiment with their own unique guitar designs. Glad you have found the book useful. It is easy to find on ebay, abebooks, amazon, or direct from the publisher Robert Hale Ltd (now taken over by Crowood Press). The French edition is available from Editions Vial in France. Ordered it last week, and it arrived today. If you’re starting out, and you have done your research, and you are reading this review, and hopefully my comment, hear this, please. I’m a rookie, but my mentors in film production and writing trained me to do my research well. Which means reading, learning and inwardly digesting. A lot of it, basically starting with everything in print. And I do mean, quite literally everything that’s on sale, and a lot more online and out-of-print. and Romanillos, just ordered hot off the press from Spain. I even have a copy of the book that Romanillos allegedly learned from in the 50’s. Now, if you consider that just the two books by Somogyi are more than a couple hundred bucks by themselves, you’ll see that I’ve put quite a bit of investment into my research, both in time and money, since I do want to be good at this, and in my book, solid theory is essential to lay the foundation for effective practice. I’m not including Tom’s Art of Lutherie Book because it’s not really about the actual construction method like the others are. So – DO TAKE MY ADVICE. Bite the bullet and buy this book first. Yes, as Tom has mentioned, it is expensive. But worth every penny. Take it from one who’s just been there ahead of you.